With an open concept floor plan that over looks the community park complemented by beautifully selected upgrades. Enjoy the airy feeling of the 9' first-floor ceilings coupled w/upgraded flooring. The kitchen itÃ¢â‚¬â„¢s adjacent to the great room. Kitchen features upgraded white cabinets, beautiful countertops & backsplash, SS. Upstairs is the secondary bedrooms, dedicated laundry space & master suite. 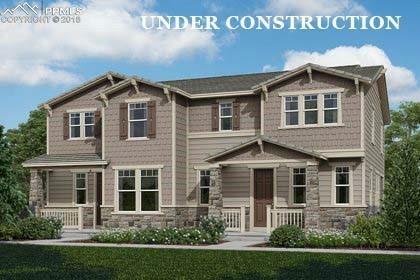 The master suite w/large walk-in closet & en suite bath w/beautiful cabinets, countertops, a walk-in shower & amazing fixtures.